Dead Running is now available! 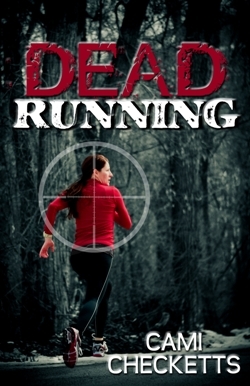 To celebrate the release of Dead Running the author has coordinated a huge fitness giveaway. Prizes include fitness watches from MIO Global, three months online personal training from Fitcore Fitness, Beginner and Advanced yoga packagesfrom Hugger Mugger, earbuds and armbands from iFrogz, running shoes from AltraZero Drop, six months membership to Smithfield Recreation, one month membership to Crossfit UAC, Three Lebert Stretch Straps, and an autographed copy of Dead Running. Enter on Cami’s Book Blog or Fitness for Mom.